The Hibiscus Flowers Bloom in August at our Pet Friendly Cottage. The Living Room gets Great afternoon Sun! Breezy MBR or Air conditioning - Queen Bed Morn Sun, garden view. The bathroom. Small, clean and whimsical. Outdoorshower also. 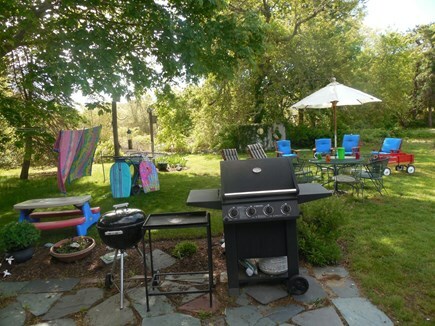 Relax with a backyard barbecue. Enjoy the birds. Its Summertime and the Living is easy! Colonial Acres Beach. One view of the beach (Fall) coming back from our favorite walk. One July Week open And one August week open. 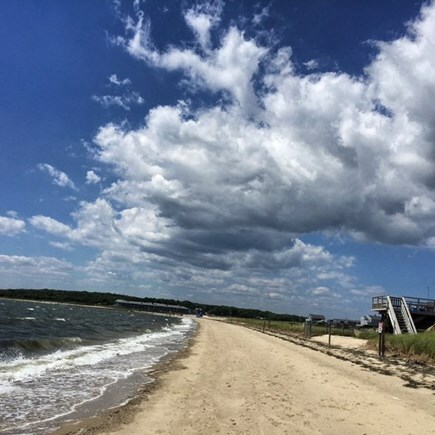 It a short walk to Fabulous Colonial Acres Beach. Free Parking, Bike Racks, Crabbing, Fishing, Ferries and Sailboats to watch, Great Beach for kids. Dog Friendly in the off season. Colonial Acres Beach is 1000 feet long, never crowded. There are dozens of beaches within a 3 mile radius of our house. 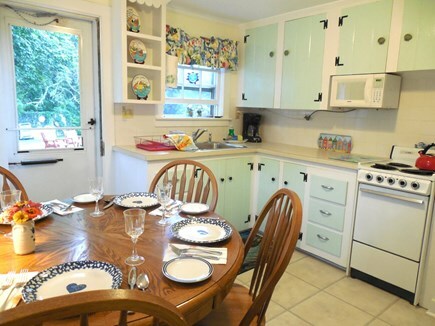 The Cottage is tastefully decorated in the Seaside style. Fully equipped kitchen,. Please bring your own sheets and towels, everything else is provided including hairdryers, toilet paper, paper towels, laundry detergent, spices, dish detergent, hand soap, bath soap, coffee filters, dishes, pots and pans & garbage bags, dog dishes and after beach dog towels. We have a comprehensive guest guide and high speed internet, wifi code, tv instructions. The house also has a great movie selection. Consult our guest guide and you will find it. 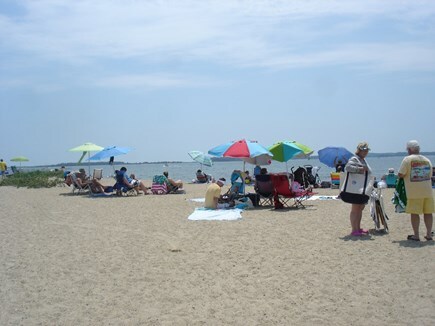 Lewis Bay is great for Kayaking, Kayak to Hyannis Harbor and have lunch at Baxter's Boathouse, Or Kayak out to Egg Island at low tide and hang out. We have a copy of the Kayaking Lewis Bay at the house. There is a small library of books. Relax in the backyard hammock, and enjoy the birds, after the barbecue. Take a refreshing outdoor shower under the stars in the night air. Great restaurants right nearby: Yarmouth House, Captain Parkers Pub, Black Cat, Spanky's dozens more. Numerous nearby attractions, Whydah Pirate Museum, New Water park, Mini Golf, Shopping, Ice Cream. This is a quiet, residential neighborhood with a community, happy feeling to it. Private back yard, great for the kids and the dog. 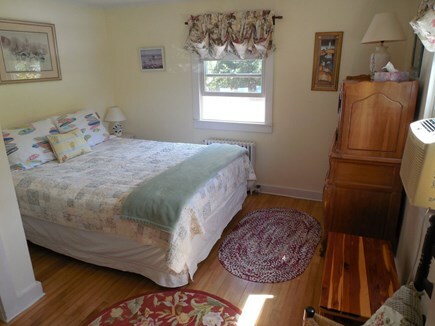 The house itself is comfortable with a Queen Bed, and a Twin Bed and Bunk Bed. Best of Couples, 2 adults and 3 kids, 3 adults and 2 kids, 4 adults if one is okay with the lower bunk bed. Additional availability info: The Basics: 1) Available nightly with a 2 night minimum (Oct through May) 2) Your dog is welcome 3). This is a Saturday to Saturday vacation rental. If you are taller than average or have mobility considerations you may find the toilet placement in our house a tight squeeze. 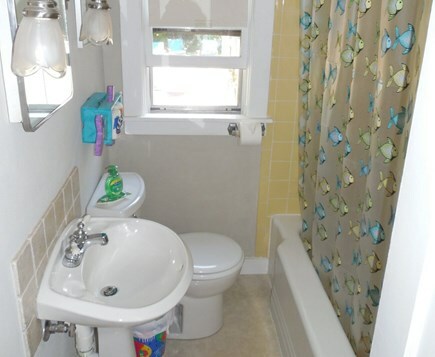 It has not been an issue in 16 years of renting, but please look at the picture of our bathroom in our listing. Jean and Rob purchased the Hibiscus Beach House in 2003 and also own another vacation rental in the neighborhood. 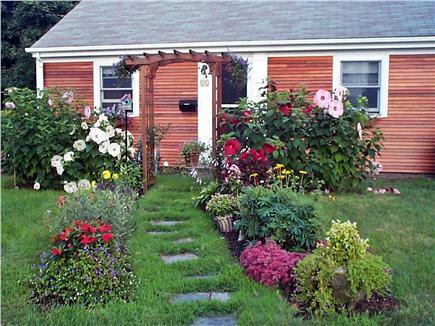 The Hibiscus House is our personal residence except during the summer season when we take great pride in sharing it and Cape Cod with you. 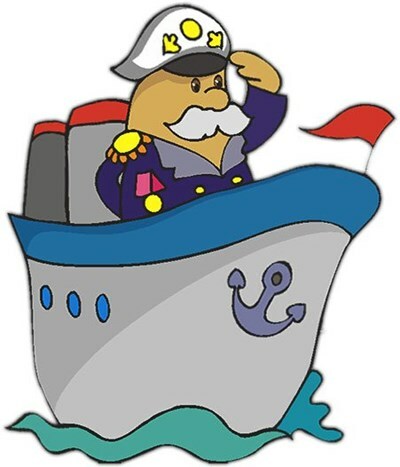 We chose the Captain in the boat picture to represent us as, like him, we live in Yarmouth and are at your service if the need arises. Your ship will never run aground! The house is very close to the beach. The neighborhood is great with wonderful neighbors. It has a community feel to it. The summer atmosphere is fantastic - well, it IS vacation time. We have a comprehensive guest guide at our house for easy, quick reference. The town of Yarmouth's slogan is ''within reach'' and that's because all parts of Cape Cod is readily accessible. We have a lot of activities for the young and the young at heart. Examples include: The Whydah Pirate Museum, Taylor Bray Farm. Fine Dining restaurants, minature golf, regular golf, the Cape Cod Bike trail, Free tennis courts, a water park, Arcade, beaches-beaches-beaches, and the list could just go on and on. The towns of Hyannis and Dennis on either side of Yarmouth also have a lot to offer.....did we mention we are within reach?